Even NASA’s lead global warming advocate, Dr. Gavin Schimidt, has had enough of the UN and media’s climate tipping points. 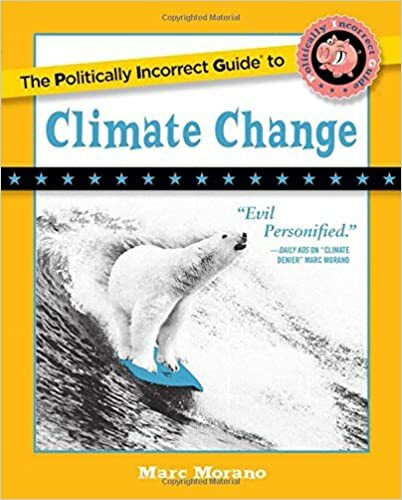 But as the new book, “The Politically Incorrect Guide to Climate Change”, reveals, climate tipping points have a long history of repetition, moved deadlines and utter failure. The book documents that the earliest climate “tipping point” was issued in 1864 by MIT professor who warned of “climatic excess” unless humans changed their ways. “The UN claims they were struggling with how bad to convey the allegedly ‘grim’ news about climate change. But what the media is not telling the public is these UN climate reports are self-serving reports that have predetermined outcomes. The UN hypes the climate ‘problem’ then puts itself in charge of the ‘solution.’ And the mainstream media goes along with such unmitigated nonsense. The UN even leaks their true motivation with these reports, calling for “rapid, far-reaching and unprecedented changes in all aspects of society.